Are you curious to see how local businesses have incorporated reclaimed materials into their projects? Do you like to support businesses that are taking steps to be responsible stewards of this beautiful place where we live? The RE Store Certified Program is scratching the back of progressive local businesses. The non-profit organization is launching a new program that will recognize local businesses that make significant efforts to incorporate salvage, reclaimed materials and green building practices. Imagine some of your favorite restaurants, bars, boutiques, salons, and other places you frequent, all together on a map, with details about what cool and unusual materials they have reused in building and decorating. 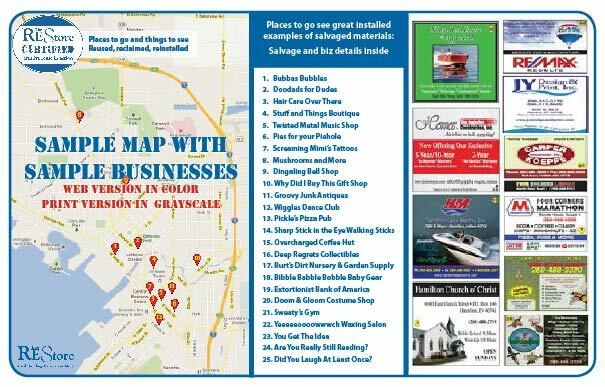 The map will be available online as a navigable, custom Google map, along with a downloadable pdf version and also a printed version you can come grab at our stores in Ballard or Bellingham. We look forward to launching the maps and web presence for The RE Store Certified Guide in the Spring so stay tuned.